A cup made of pure gold is the centrepiece of a new exhibition opening at the Melbourne Museum next week. 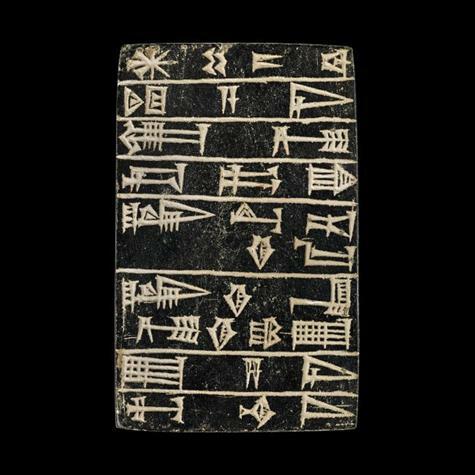 "Wonders of Ancient Mesopotamia" will showcase more than 170 artefacts on loan from the British Museum, charting the history of one of the world's oldest civilisations, dating back as far as 2600 BC. The cup was recovered from the "death pit" of Queen Puabi in the ancient city of Ur - modern day Iraq - during an excavation led by archaeologist Leonard Woolley between 1922 and 1934. British Museum exhibition curator Sarah Collins says the cup, which has a slender upright spout, was most likely used for drinking beer, with the spout functioning as a straw to filter out particles. The relic was found in the royal cemetery amid precious jewels, musical instruments, containers once laden with food, and other riches. Also present were the bodies of dozens of human sacrifices, thought to be royal attendants, who, together with the other offerings, provided the royal family with everything they needed for the afterlife. "This is really rather unique ... so far archaeology hasn't uncovered tombs or riches quite like this," Ms Collins said. "It's certainly a very spectacular example of the Sumerians' belief (system) and burial and afterlife (practices), and also contains all these wonderful objects that tell us so much about their craftsmanship and the wealth and their trade routes." Museum Victoria chief executive Patrick Greene says the excavation of the ancient city of Ur is rivalled only by the discovery of Tutankhamun's tomb. He says the exhibition is a window into a civilisation that influenced modern times - it was where writing was born and the clock, irrigation and modern bureaucracy developed. "I think people are going to be extremely surprised by what they see and see the way in which these ancient civilisations have contributed to the ways in which we live today," Dr Greene said. The exhibition will run from May 4 until October 7. 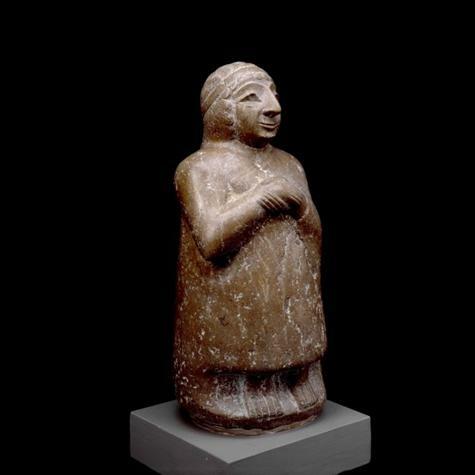 Limestone votive statue of a woman, c. 2500 BC - Sumerians placed stone statues of themselves in temples to demonstrate their devotion to the gods. 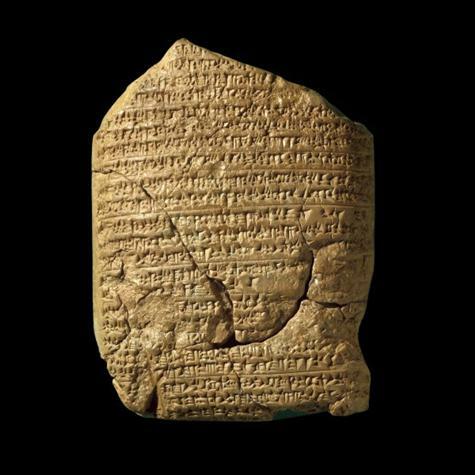 Tablet - Steatite foundation - "For the goddess Nimintaba his lady, Shulgi, mighty man, king of Ur, king of the lands of Sumer and Akkad, built her temple for her". 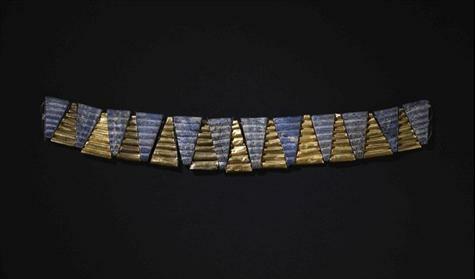 Gold and lapis lazuli collar or choker -The gold triangles are made from a diamond shaped, corrugated gold sheet, folded to create horizontal tubes through which the strings pass.